Operation Transformation Recipe - A fantastic option for a light lunch. Place 100ml of water in pot and bring to boil. Add cous cous and cover until cooked. In a large bowl place lettuce, spinach, peppers, grated carrot and baby tomatoes. Mix raisins with cous cous and add to salad. 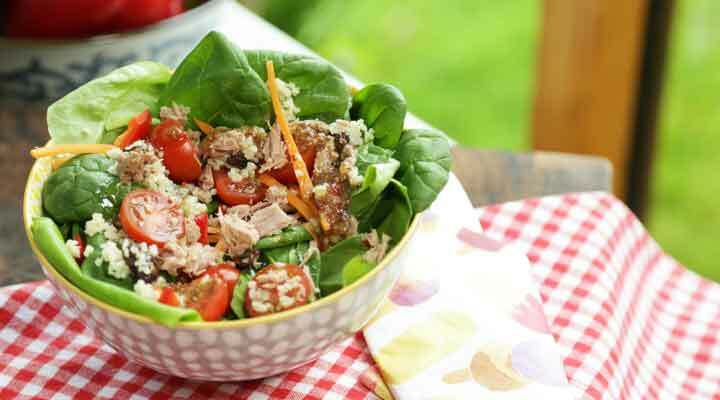 Top with tuna and serve with salad dressing if desired.